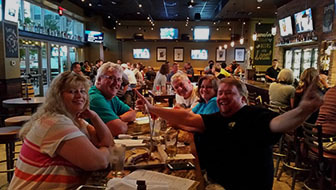 What a great night of trivia! Thank you so much for spending your Wednesdays with the PubGuys. As I mentioned last week we will be doing a featured team each week instead of the phrase that pays. If you tell me that theam, you will get a point. If you are that team and you tell me, you will get 2 points for that evening.